Why are our Rebuilt Vintage Steinways better than a New Steinway? 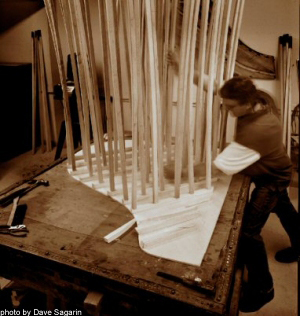 It is said that the harp is the “soul of the piano.” Most Steinways built before 1945 contain genuine Steinway harps that were cast in the Steinway foundry in Queens, New York. 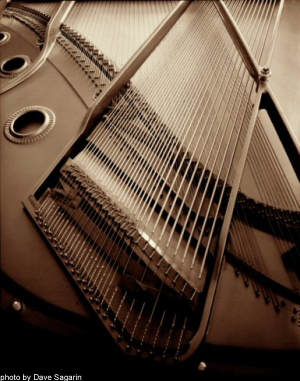 Harps in newer Steinways come from commercial foundries which also make them for other piano manufacturers! Pianists and technicians frequently observe that harps from the Steinway foundry in Queens were the best harps ever made. 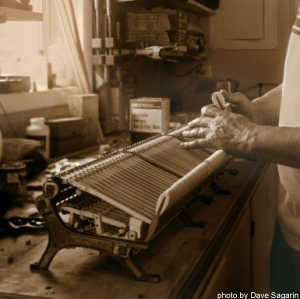 Since we only rebuild “vintage” Steinways, you are assured that our pianos have the genuine Steinway harp. We use Genuine Steinway Action Parts in our restoration process. These actions are built to Steinway specifications, and are found on currently produced Steinway & Sons pianos. Pianists and technicians often prefer these actions for their speed, control, and consistency. Other top name pianos, like the hand-crafted Bosendorfer, Fazioli, Bechstein and other discriminating piano manufacturers use Renner and Abel parts, and if you chose, we can use those as well. We make our own soundboards for our rebuilt Steinway pianos and hand-press them with hickory “gobars”, the way Steinway did it for over a hundred years! The imported quarter-sawn, vertical-grained Canadian spruce, or violin-quality domestic soundboards from the Pacific Northwest that we use, are superior to that which we find in the original soundboards we remove. No stain, twist, bluish color, or knot, regardless of how small it may be, is tolerated in the manufacturing of these soundboards, making them more stable and offering them greater flexibility. The more vertical the grain, the better the transmission of the sound; the sound waves traveling in concentric circles throughout the board. Most new pianos have machine-wound bass strings, but not our restored pianos. We use only hand-wound, copper bass strings for superior performance and unparalleled richness of sound. The unique “Steinway growl” lives on in our beautifully rebuilt pianos. Most new piano manufacturers spray a high-gloss finish on their pianos and ship them out the door as quickly as possible. 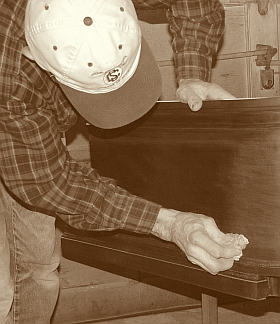 At Charlottesville Piano, we refinish each cabinet the old-fashioned way. Each case is hand stripped, stained, and lacquered. Then the piano is hand-rubbed producing a beautiful satin finish, just like they did in the Steinway factory a hundred years ago. Tom Shaw, who installs and regulates the actions and dampers in our rebuilt pianos and tunes and voices these pianos personally, is a third-generation piano rebuilder, tuner and technician. He brings more than a hundred years of rebuilding experience handed down to him by his father and grandfather before him. There is no university degree, no “forty years in the business” that can substitute for the direct-lineage craftsmanship that goes into our rebuilding process. Tom’s reputation as a master rebuilder has earned him an international clientele of celebrities and piano aficionados. For a free estimate on restoring and refinishing your grand piano, please call 434-296-8886, or email you’re your request to cvillepiano@earthlink.net.